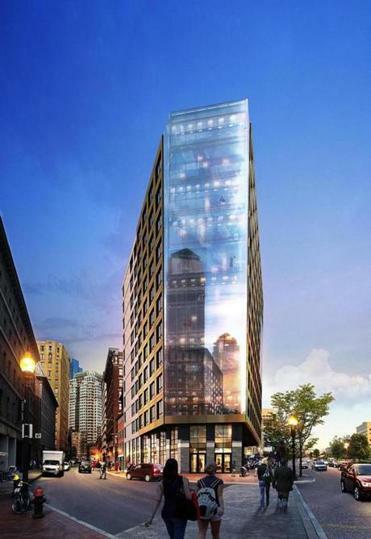 The remaining facade of the Bulfinch building on Broad Street will be incorporated into the Boulevard on the Greenway, a 12-story condominium development by New Boston Ventures, scheduled for completion in 2018. 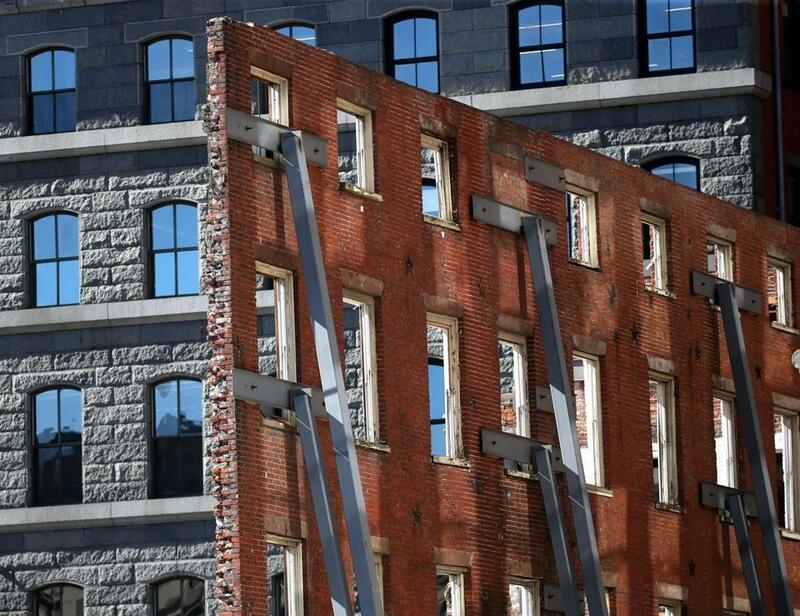 The long, thin walls of period red brick and granite look more like a lone movie prop rather than a preserved piece of Boston’s early history. 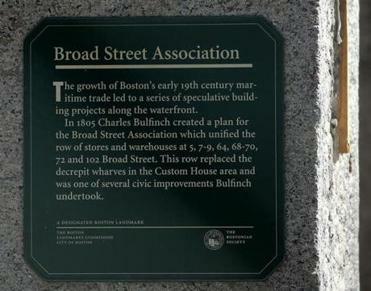 A historical marker on the Bulfinch building’s column. Boulevard on the Greenway, a 12-story condominium development by New Boston Ventures. 110 Broad Street from JDC Demolition Inc. on Vimeo. 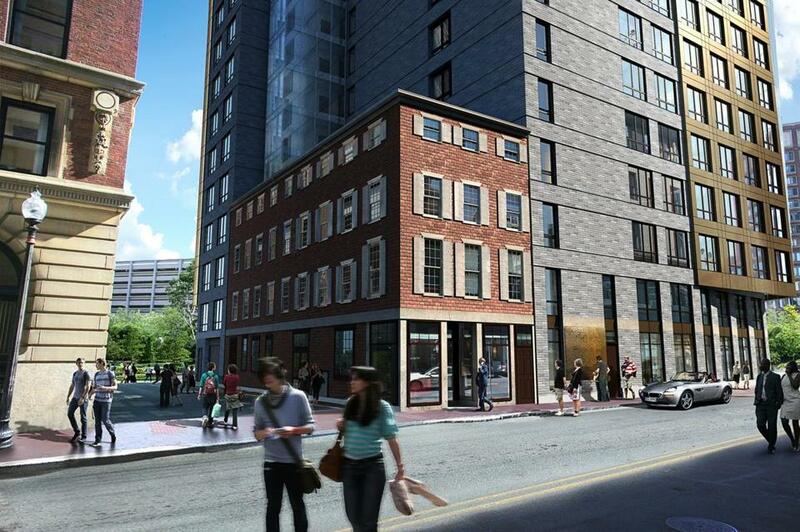 Boulevard on the Greenway will incorporate the Bulfinch building (left) into its design.